Ayurveda is a holistic approach, which includes medicines with curative and preventative properties. It also incorporates a dedicated diet plan, for leading a better life. Ayurvedic diet plans have strict guidelines, which prepare the body to embrace medications and diets. Freshly prepared foods are preferred while having an Ayurveda diet. Organic and locally grown products should be consumed in this diet period. Packaged and processed food items should be avoided in this span of time, to balance the diet. Similar diet guidelines are to be followed while practicing Ayurveda in any form. In this article, we discuss the recipe of Ginger Elixir, which can boost your immunity and strength. Ginger Elixir is an Ayurvedic digestive drink that helps in better digestion. The word ‘Elixir’ represents a magic drink that cures illnesses. Ginger Elixir is one such magic potion that can do miracles in improving health conditions. This drink is easy to prepare, and it contains no refined sugar or carbs. 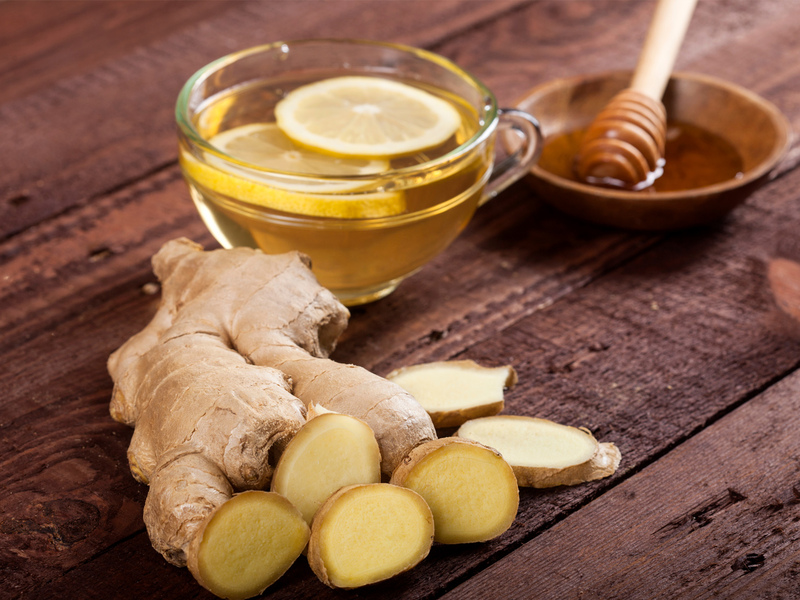 The combination of ginger, honey and lemon, makes the drink healthier to consume. Boil the grated ginger in water over medium-high heat and wait until the essence of ginger gets dissolved in the water. Reduce heat to a simmer, cover and simmer for 5 minutes. Turn the flame off and let the ginger steep for five minutes. Strain the ginger solution into a mug and squeeze in lemon juice. Stir well and add honey or lemon depending on your taste. Ginger Elixir is one of the best detoxes as it heals the immune system and regulates immunity. Regular consumption of the drink can repair the respiratory system, eliminating bacterial infections and can even aid in better sleep. Add this recipe to your daily routine and live better! How often should one go for Panchakarma? How do you Stay Healthy and Cancer-Free with Ayurveda? With modern science looking into the 5000-year old Ayurvedic treatment to combat communicable diseases, the credibility of Ayurvedic treatment is rising manifold. With the growing body of scientific studies that backs the ancient knowledge, here are some common herbs which are proven to have anti-cancer properties. Ashtanga yoga is an eightfold path of Yoga that focuses on healthy living through Yoga, and it is coined by Maharishi Patanjali as a core essence of Yoga. This introduces the eight pillars of the yoga and gives a structured implementation according to the Yoga Sutras. The eight aspects form a sturdy structure, and it provides a complete spiritual yogic practice. Unbalanced blood sugar, the root cause of diabetes, results in hypoglycemia or hyperglycemia, and weight gain. High blood sugar (hyperglycemia) increases the need to urinate, weight loss, fatigue, blurred vision and headaches. Stress, illness, infection or skipping insulin, lack of strenuous physical activity can increase your blood sugar. Over the years, Ayurveda has studied the root causes and analysed remedies for problems relating to unbalanced blood sugar. During Karkidakam, human health is at a low, and the immunity of body is very much reduced. So the body becomes more susceptible to diseases. At this point, various Ayurveda practices can be done to facilitate energy and to improve health. These ayurvedic practices done at the time of Karkidakam is known as Karkidaka Chikitsa. People with pitta type body are more vulnerable to sunburn. Exposing to sun rays can increase the pitta present in the skin. This, on the other hand, reduces the Rasa Dhatu from the skin. This causes sunburn. Rasa dhatu is the nourishing fluid which gives colour, complexion and glows to the skin. Sudden decrement to this fluid could cause severe inflammation to the skin. Along with this, Vata will also get provoked, making the skin dull, dry and dehydrated. If not treated, this could form pigments on the skin and form dark patches.